Please join me in congratulating the winner of our March 2019 Ride of the Month Competition, Brutinasuit!!! Thanks to all of those that competed in a great race and hope you will enter the April 2019 Ride of the Month competition. jbanks15, Durkatlon, LIL DON SLK and 7 others like this. Last edited by Avel Du; 1 Week Ago at 03:48 PM. @Butinasuit I'll message you shortly with prize details. Well done on an impressive victory. Congrats Welcome to the club !!! Nice 55, well deserved win. Congratulations, You deserve it with that mean machine!!!! Congrats on the win. 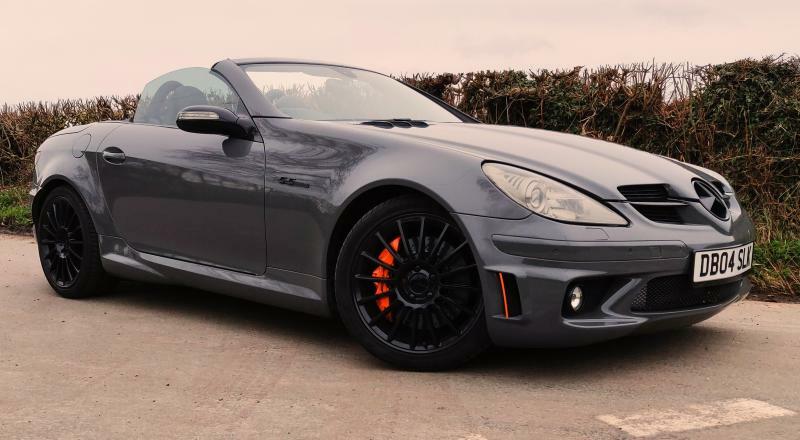 Very nice photo of a very nice looking SLK. Congratulations welcome to the ROTM Club! 308 Attachment(s) Did you name your car?